The concept of shared ownership was created to offer a high-value targeted alternative to outright ownership of expensive capital goods – being it jets, properties, yachts etc. It works by enabling owners to share the acquisition and running costs of the yacht, and to minimize waste (time and money), by ensuring, that you only pay for the share of the yacht you enjoy – measured in actual time spent onboard. WHY NOT BUY A PRINCESS YACHT AND LET IT FOR CHARTER? Chartering out your yacht isn’t quite as straightforward as it might seem. Chartering involves the commercial registration of your yacht, which comes with much stricter rules and regulations, VAT implications and management responsibilities, among other obligations. It is also worth considering that in order to gain a contribution to running costs, you may have to forgo your own usage of the yacht to accommodate your clients’ dates. HOW COST EFFECTIVE IS SHARED OWNERSHIP? It’s very cost effective. Calculated as cost per week, the price of shared ownership is approximately 60% of the price of chartering a similar yacht in the Balearic Islands. CAN I GET TO SEE THE ACTUAL COSTS? Of course. We operate with full transparency so you can follow the actual expenditure on a yearly basis. DO I HAVE TO PROVIDE MY OWN CREW? No, YachtQuarters takes on the job of hiring and managing the crew, who are in charge of the daily operation of the yacht. You will always have two permanent crew members – the Captain and a combined Chef/Stew/ Deckhand. Depending on the cruising plan agreed with your yacht captain, a third crew member may be required, and will be provided. CAN I GO WHERE I WANT? The primary cruising area will be The Balearic Islands with the stunning sights of Mallorca, Ibiza, Menorca and Formentera at your fingers tips. The secondary cruising area is the West Mediterranean, cruising from the beautiful waters of the French Riviera to the breath-taking waters of the Italian Riviera if you so desire. DO I GET INVOLVED WITH THE OTHER OWNERS? You may or may not know the other owners, so to make it simpler you will have a designated yacht manager who is the focal point for all owner communication. This takes the pressure off owners to communicate between each other. WHAT COSTS ARE INVOLVED IN YACHTQUARTERS? YachtQuarters shared ownership enables owners to conveniently and cost-effectively share all the acquisition and operational costs of the yacht. Any additional costs will be down to your own personal consumables. CAN I OPT-OUT BEFORE THE END OF THE FOUR YEAR STRUCTURE? All owners are obliged to stay in the programme for a minimum of two years after entry. After this period of time, individual owners have the ability to opt-out and sell their share of the yacht, which is a liquid asset. Yes. The yacht is covered by comprehensive insurances. HOW DO I ARRANGE USING THE BOAT? A 25% share in the program entitles you to a total of 8 weeks per year on board the yacht. All booking requests must go through your yacht manager, who will organise and manage the yacht calendar. AM I PROTECTED IF ANOTHER OWNER DAMAGES THE YACHT? Smaller damages by an owner or his/her guests will be covered by that particular owner. Any more extensive damage is either covered by comprehensive insurance, or the owner responsible. WHICH CURRENCY IS USED FOR PAYMENT? The purchase of the yacht share is calculated and paid for in sterling, but contributions to the operation are charged in euros. CAN I SKIPPER THE YACHT IF I WANT TO? No, the yacht is skippered by a professional captain, approved by the insurer. AM I PROTECTED IF ANOTHER OWNER IS BEHAVING UNACCEPTABLY? Yes. The program includes various provisions for shareholder protection upon registration of interest. 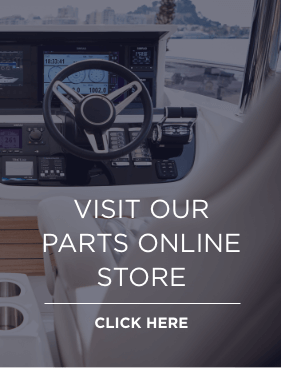 CAN YACHTQUARTERS PROVIDE LARGER YACHTS? We expect the YachtQuarters program to include the ownership of larger yachts in the near future. The Princess 75 Motor Yacht is a very well laid-out and practical family yacht. For owners, who prefer to have more space onboard, cruise further afield, or have a larger crew living more discreetly onboard, we can offer the ownership of larger yachts, for example a Princess 88 Motor Yacht, or the Princess M Class 30 or 35 metre yachts.